I don't want to be negative, or start out this post as negative. But February's Boxycharm box was my least favorite box so far. So you'll notice that tone while reading this post. To be more positive though, in all this time I've been subscribed - Boxycharm has not let me down up until now! The beauty subscription service is such a good price ($21/month) considering you get full-sized Sephora quality products that would normally run you well over $100 total. 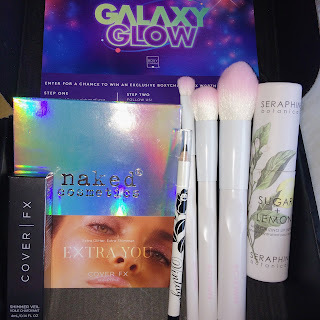 I won't let one meh box discourage me from buying, Boxycharm is my favorite subscription box! The next item(s) and my favorite pick for the February box are the Crown Brushes Pro Brush Trio. Crown Brushes are frequently in beauty subscription boxes, and I love that I get to build my makeup brush collection. 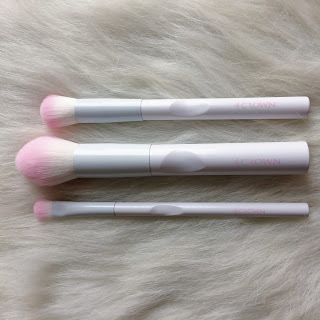 Originally $29.99: you get a small concealer brush, a medium sculpting brush, and a large powder brush. This set would be nice for travelling. Or if you're like me and only use a few brushes when applying makeup, these are excellent for multi-tasking. I love that these are white with a pink tip too! I would recommend this brush set. Naked Cosmetics was included in the February box. 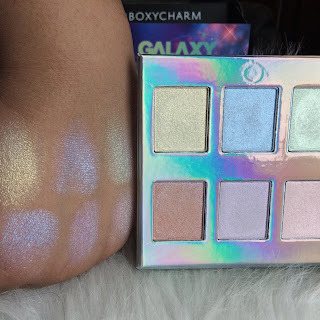 I was pretty excited to try their Holographic Highlighter Palette, which goes for $39.99. Holographic/duo-chrome everything seems to be pretty popular right now. 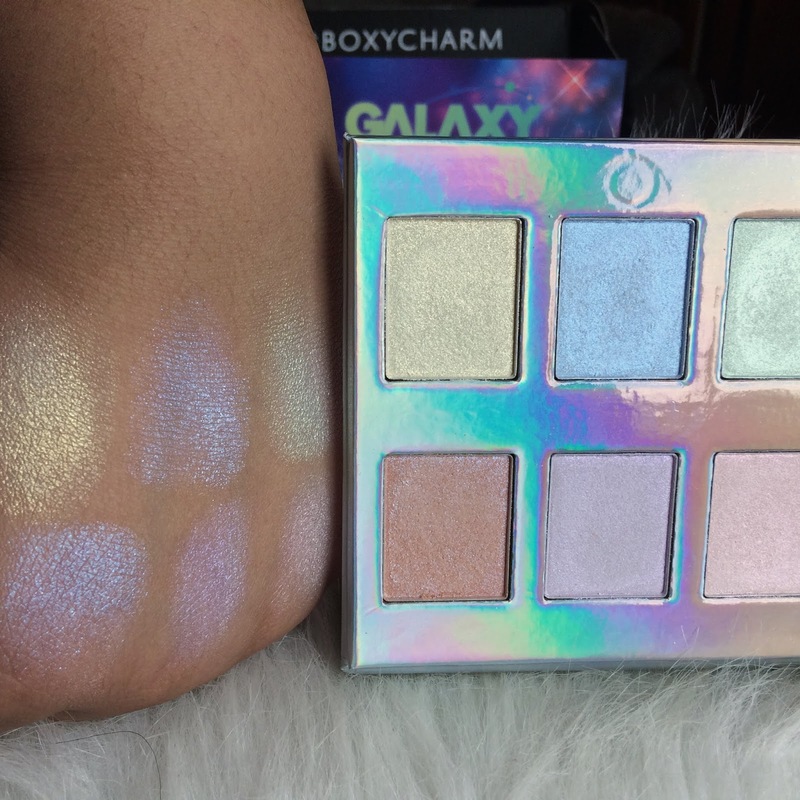 And for a night out, I love to play with different shades of highlight. 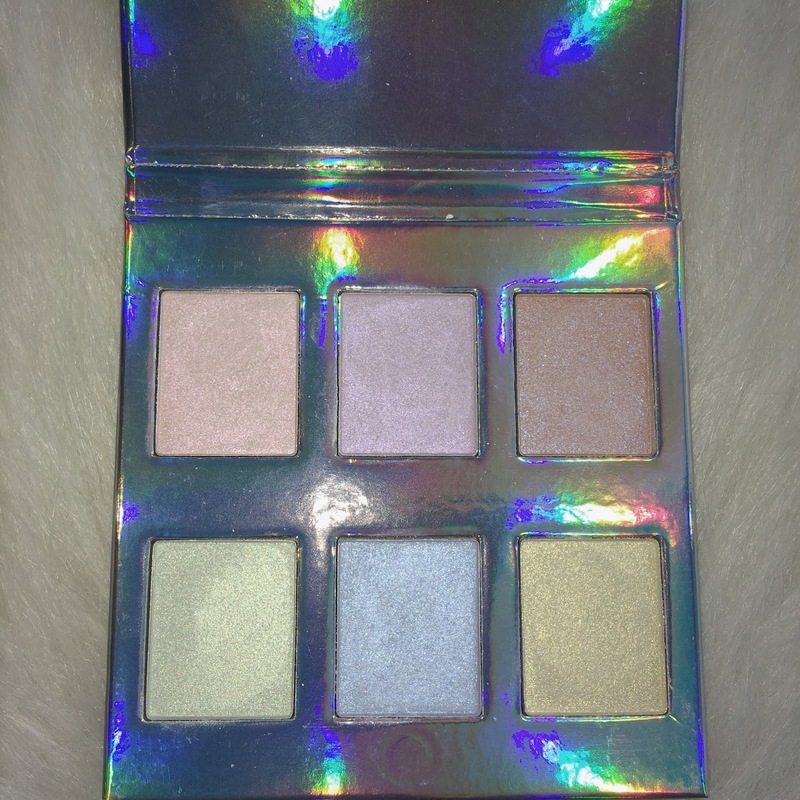 But this palette was so powdery and borderline chalky, I don't know if I will ever use it. I'm not sure who this would work for, as you can see the swatches are underwhelming. So I don't think it's a skin tone issue. A more affordable option is BH Cosmetics' Backlight Highlight Palette, and it is a fraction of the cost of Naked's. 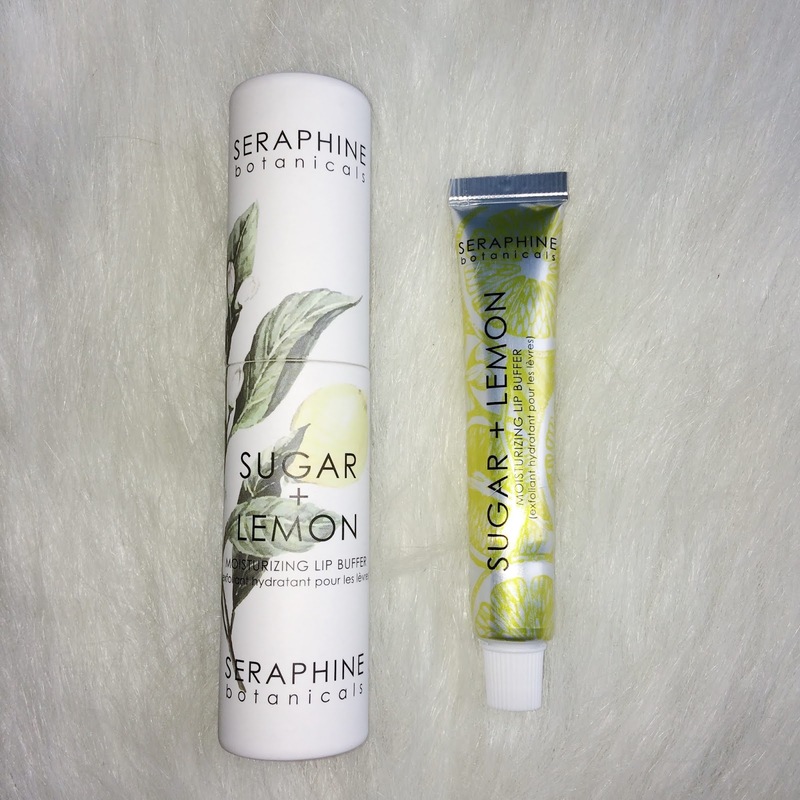 Another product I was excited about (at first) was Seraphine Botanicals' Sugar + Lemon Moisturizing Lip Buffer. I love lip scrubs, and I looovve lemons! This scrub is formulated almost perfectly. It's gritty enough to lift any dead skin off the lips. And it's moisturizing enough to leave lips feeling soft. BUT the after taste of this scrub is wicked. Think a bitter bitter lemon and chemicals, that's the taste after using this. I wish the flavor - yes, lip scrubs should be flavored!! 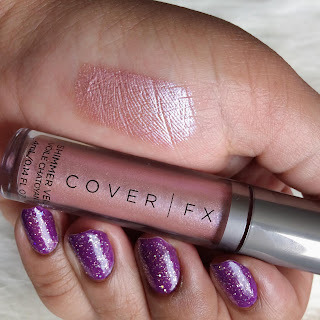 - was more sweet and I would repurchase in a heartbeat. And for $24, I think Seraphine Botanicals should seriously consider re-flavoring this lip scrub. 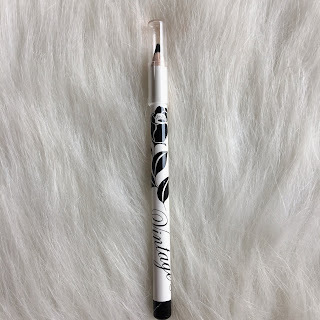 The last item in this month's Boxycharm is a black eyeliner pencil from Vintage by Jessika Liebskind. This was a product I wasn't excited to try when opening the box. I have so many liner pencils, I'm not sure that I want to spend $21 on one. And it didn't wow me, so I probably won't repurchase. For a pencil formula, I will say this is very creamy and dark dark black. But because it's so creamy, it moves around the longer you wear it. 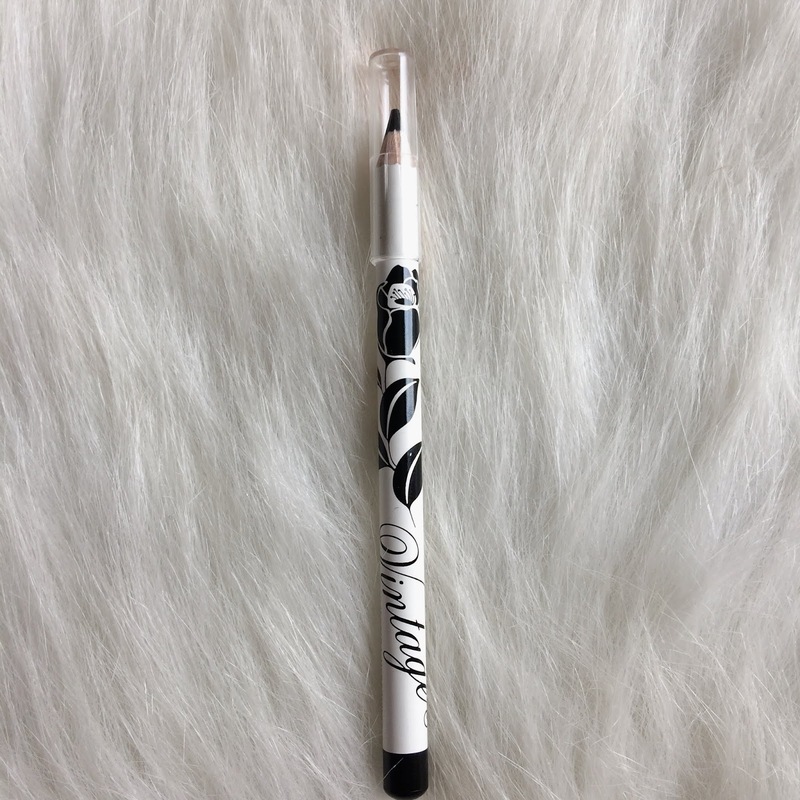 I need a pencil that will stay put all day, and if I'm paying over $20 bucks for an eyeliner, I'll buy Marc Jacobs' Beauty Highliners. Those are creamy, pigmented, and absolutely don't budge.